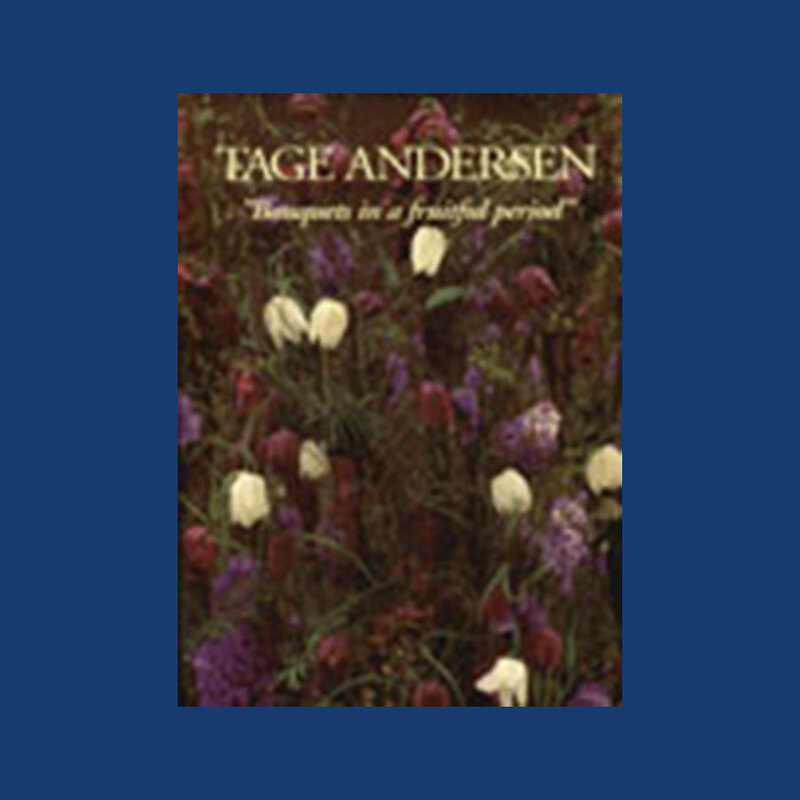 ANDERSEN, TAGE “BOUQUETS IN A FRUITFUL PERIOD”. Illustrations: 84 Color Illustrations. 0 B&W Illustrations. Flowers are a fantastic means of expressing the unspoken. This book creates fruitfulness out of a sober and sometimes ascetic simplicity. Presented here are stunning photographs of Andersen’s world reknowned floral art, which have a language of their own. Some are intened to be tender and poetic - others virile and dramatic. They have all been created in a fruitful period, with joy, and love of life and flowers. 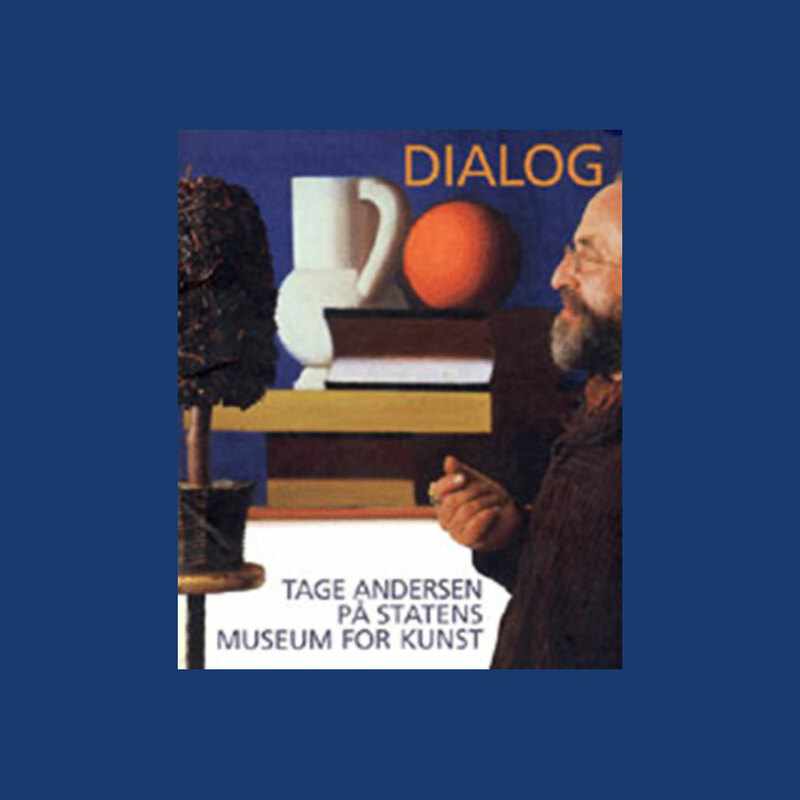 Tage Andersen, the foremost contemporary Danish interior and floral designer, shares his deeply artistic visions in tableaux featuring the organic world woven into the man-made, displaying a range of skill from the rustic and humorous to the refined. Exotic flowers, living baskets woven into coffee tables, checkerboard lawns at country manor houses, virtual runways of red water lilies in castle moats and candelabras in empty cells - a very unusual art book that moves from reality to fantasy around what plants, branches and flowers can bring to our home and our imagination. Illustrations: 9 Color Illustrations. 4 B&W Illustrations. Illustrations: 110 Color Illustrations. 0 B&W Illustrations. Swedish master florist Per Benjamin, describes that floral art is all about emotions. Bringing flowers to people is a way to create emotions: to show that there is always something good coming in the future, with something beautiful to offer. He considers himself privileged to work with flowers every day. CHANG, PETER : A VISIONARY. Illustrations: 32 Color Illustrations. 1 B&W Illustrations. Peter Chang explores the relationship between art and science through his range of abstract, three- dimensional objects which can be adorned, narrate their own meaning, and embody concepts remote from their original function. As a sculptor, Chang’s pieces are primarily modern plastic jewelry, strange furniture, and creepy-crawly objects. “Object-making is a non-verbal attempt at balancing the intellect with the intuitive,” is how Chang explains his relationship to creativity.